I propped myself against the kitchen sink not too long ago and spit into a clear plastic test tube the size of my pinkie finger. I spit and spit and spit, following directions to be sure I would sufficiently trap my DNA. Once the accumulated spit crossed the “fill to here” line, I gave my test tube an emphatic shake (again, precisely as told) and popped the whole shebang in the pre-labeled shipping box. Post haste, I motored to the drive-by mail chute in my little town, tossed my parcel into the open maw of the postal box, sat back and awaited revelation. Over the years, I’d had a hunch that grew and grew, and I was submitting my hunch to science. Any day now, I figured, the friendly folks at DNA Central would lift the lid on what I had decided must be a long-kept ancestral secret. Surely, I must be some percentage Jewish. At least some fraction of a fractional percent. That chromosomal uncovering might shed light on just why it is that I—a girl schooled by the Sisters of Loretto and a phalanx of Jesuits, a girl with a rosary for every occasion—had found, all these years later, my sense of the divine so animated by the sacred Jewish lens of wonder and wisdom. All encompassing, it is one intricately tied to the turning of the earth, the sun, the moon, the shifting of the stars stitched in heaven’s dome. It is as if the ancient call to Hebrew prayer has reached out across the millennia and awakened all my senses. I am stirred by the command to whisper a blessing at the unfurling of a rainbow, at the first blossom of the almond tree. I am stirred by the command to scan the night sky till I spy the first three evening stars, and only then kindle the Havdalah candle, pass the spice box and recite the prayers that draw the Sabbath to a hushed and blessed close. I had convinced myself that deep in my DNA there must be buried some short link confirming my genetic claim to Jewish soulful lineage, aside and apart from my nearly three decades entwined in a Jewish-Catholic marriage. Alas, there is not. Not one strand of Jewishness to my Irish-Catholic name, not Ashkenazi, not Sephardic. How then to explain the soul-deep burrowing into the nooks and crannies of Jewish spirituality for this lifelong post-Vatican II Catholic? Sure, I had married an observant Jew some 28 years before. And we had raised our two boys the only way we knew: immersed in both their Judaism and their Catholicism; first Communion and Bar Mitzvahs for both, with priests and rabbis all along the way. How then to explain the soul-deep burrowing into the nooks and crannies of Jewish spirituality for this lifelong post-Vatican II Catholic? My own trek into the Jewish interior began with Shabbat, the holiest of Jewish holy days, one God offers at sundown every Friday, when we are commanded to kindle lights, bless bread and wine and, most of all, put down toil for the sacred arc of 25 hours, sunset to sunset plus a smidge for holy measure. The practice of slowing time, slipping into timelessness amid the cacophony of the modern-day world, is one that literally stopped me and, from the start, stirred a deeper soulful hunger. It was not long after our wedding under the cathedral of oaks in my mother’s garden, when I was but a young unpracticed bride, that I set our first Shabbat table, tentatively placing amid the dinner plates two Israeli candlesticks, a kiddush cup for wine and a braided loaf of challah (which I would learn to bake over time, at the side of a Holocaust survivor who became my friend). A rite at once domestic and sacramental, Shabbat became for me a tucked-away cloister of anointed time. A rite at once domestic and sacramental, Shabbat became for me a tucked-away cloister of anointed time. It is God whispering, I like to think. God cocking a finger, calling us home, each and every one of us. Come, be where it is still. Put time on pause. Savor this moment, this holy stretch of hours, savor each and every sense, savorand embrace the ones you love. And so, around the globe, as Friday’s sun slips from the sky, as our world dips into darkness, there is, house by house, table by table, the kindling of sacred illumination. At my house, I hear the whisper early each Friday. Over the years, I have tiptoed into the kitchen at dawn to begin the alchemy of yeast and flour that becomes the challah. Awaiting its pillowy rise, I crack into the cookbooks of my various adopted Jewish mothers, peruse the spiral-bound recipes of temple sisterhoods from around the country (Bella Abzug’s Matzo Balls, among my clippings). My kitchen ministrations usher in the quietude, the prayerfulness, that has become my coveted weekly office. By the time I have set the table, ferried plates to the dining room, pulled out chairs for whoever has shown up (our Shabbat tables have often been populated by an eclectic roster of professors and scribes), I am, curiously, the Catholic who finds “church” in the holiest of the Jewish holy days. Time and again in synagogue, on Friday nights or during the long hours of the High Holy Days, I find my soul soaring as the cantor lifts his voice in the minor-key call to prayer, as my husband beside me bends his knees, bows from his waist, wraps himself in his prayer shawl. The rhythms of the Hebrew prayer, even when the words escape me, tap the sacred within. I perk my ears to the still small voice that calls us, each and all. Sh’ma Yisrael, “Hear, O Israel,” begins the holiest of all the prayers. And my soul listens. I perk my ears to the still small voice that calls us, each and all. Sh’ma Yisrael, “Hear, O Israel,” begins the holiest of all the prayers. And my soul listens. Heschel only whetted my appetite for deeper and more nuanced reading—even of the Torah. I explored such sacred instruction as the one for the harvest festival of Sukkot when, through the roof of the sukkah (a temporary shelter built for the eight-day celebration), we are commanded to be able to see the stars in the heavens. Or the Talmudic teaching to recite 100 blessings every day, a call to attention if ever there was. Inscribed in Jewish text, there is a blessing for hearing thunder, another one for when you see a shooting star. It is this ancient, agrarian-rooted call to see God’s wonder all around that I find woven into Jewish spirituality, and it is now an inseparable thread of my own, though I remain Catholic as ever. This ancient call to see God’s wonder all around that I find woven into Jewish spirituality is now an inseparable thread of my own, though I remain Catholic as ever. Perhaps it is the echo of ancestral Celtic spirituality or the Ignatian instruction to see God in all things, that pulsing sense that every moment of the day is a vessel of the holy. According to Celt or Jesuit or Jew, all we need do to anoint that holiness, to make it evident, unmistakable, is to bless it with our attention. And our simple prayer. It is this understanding that even before the Word, God gave us the litany of Genesis. And if we read closely the book of nature, if we surrender to the rhythms of season unfolding into season, if we allow ourselves to startle at the nascent vernal shoots, the newborn green pushing through the thawing crust of winter’s end, if we heed the mournful cry of geese in chevron streaking autumn sky, hold ourselves rapt when first snowflakes fall, if we witness the hand of God in the ever-shifting kaleidoscope of wonder, we cannot help but feel ourselves cradled in the outstretched palm of the one who breathed and birthed it all. And so it is, in the particular and timeless attention Jews pay to the turning of earth and heaven’s dome, in the liminal hours of dawn and dusk and depth of night, hours the Jews consider the holiest of holy, that I find myself wrapped in the most sacred prayer shawl, one I had never known was mine. But now, it deeply is. Even if my DNA claims otherwise. A very beautiful essay. Thrilling at times to read. Well done, Ms. Mahany! Thank you for sharing this profound connection from your life. Catholics have always (falsely) believed that they have a right or even some paganly mistaken command from God to take over all things Jewish. Ashkenazi Jews have German DNA. Bindner comes from the German and Yiddish name Bittner. My father's mother was a Fuchs, her mother a Lieb. Her mother a Deisenbach. All were Catholic because at some point we were made to convert. My maternal great grand mother is from Norway, so I am not a Jew but do have the ancestry. These tests are not fool proof. My sister took it and found no Ashkenazi. I am yet to take mine. If they use both X and Y then I may get a different result. My ex-wife is 100% Irish and her cousin married a Jewish man and converted. We went to Bat and Bar Mitzas for all their kids and have visited for Shabbat services and dinner. My Hebrew pronunciation is quite good, even though I have little comprehension. I do know this. The HaMotzi prayer over the bread at Shabbat or at Passover is made by the head of household, irrespective of gender. The wine too. Time to go back to basics. Just did a translation of HaMotzi. Together it means the freak. Separate them it is She Brings Out. That implies that The Mass is definitely a translation of the Shabbat prayer. The head of household says the prayer, which means that it can be done both by a woman and in the home. This also implies that Shekinah, the indwelling of the Holy Spirit is who brings us out. In my years as a lapsed Catholic, I studied to convert to Judaism. My final stab at conversion took place the year I wrote a term paper on the influence of Judaism on Catholic liturgy and, through the Church, medieval European music. I think a copy still exists in our local Jewish library. But the fourth time I approached the rabbi to undergo mikva, he said no, but told me to keep learning, because, as he said, "The world needs more Catholics who appreciate Judaism." To this day, we joke about a rabbi helping a Catholic return to her faith, albeit with a much greater understanding of our close yet sadly complicated relationship with Judaism. And it breaks my heart that antisemites in the Church will lambast Jews one moment, then turn and say translations or adaptations of Hamotzi, Kiddush, Kedusha, and (in one more week) Halel, or observe some version of Yahrzeits. Your "church" would have rather (or just as soon) had all Jews killed just a few short years ago and again before that, several centuries ago. Your "adaptations" are false and theft. How did it escape your notice, as a Vatican 2 Catholic, that early in every Mass there was at least one Old Testament reading and a psalm in your own language, that Jesus was a Jew and actually the promised Messiah and more and that we as Gentiles have been grafted onto the ancient vital trunk of Judaism, acknowledging our God as the God of Abraham, Isaac and Jacob and the Father of Our Lord Jesus Christ. Maybe it has something to do with Ireland, Loreto Nuns and Jesuits?. On the whole, you are writing about feel-good culture and customs and that is NOT spirituality. You are going to get a lot of this, I am sure. In my 20s, I lived in New York, part of whose claim to fame was to shelter "more Jews than Tel Aviv." I knew somewhere deep down that I was a Catholic, would drop in at St. Pat's from time to time, but the tie was tenuous. 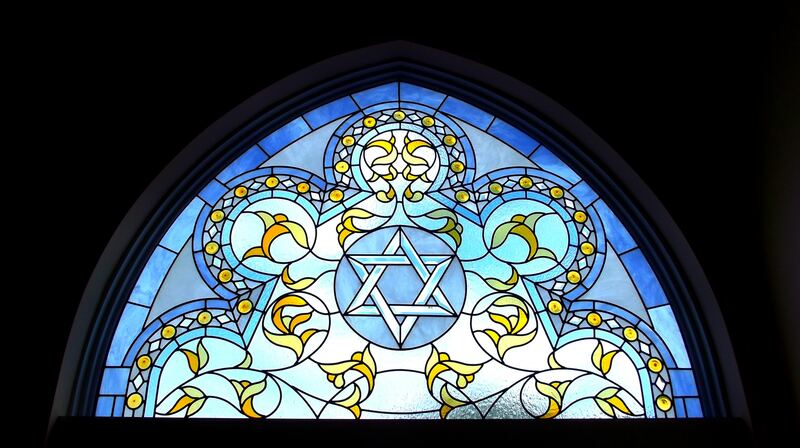 My Jewish friends drew me into their spirituality and essentially saved my faith. I still cherish their gifts. Blessed Sabbath. The deep sense of community and identity..."It shall be as if you yourself had gone forth from Egypt." The relationship to the Creator of all. All of these gifts I continue to embrace. You described it eloquently. Loved this essay, and can somewhat relate to it. This Polish-American Catholic girl married a secular Jewish guy nearly 39 years ago. Since college I have often found myself surrounded by Jewish friends and colleagues. When I married my husband, his family did not enjoy cooking so I learned many of the traditional dishes and hosted seders and other holiday dinners. A dear friend became a rabbi, and as i learned more and more about Jewish rituals for different occasions in life, so much of it made so much beautiful sense to me, and my own faith was enriched by it. Like the writer, I also fully expected my DNA test to come back with Jewish roots, but alas, they were nowhere to be found! So disappointed! Barbara Mahany, an author and longtime journalist, was a staff writer at the Chicago Tribune for nearly 30 years. She was a pediatric oncology nurse before becoming a writer.